On Friday, June 29th, the CRA Government Affairs Office welcomed the 2018 class of Eben Tisdale Science Policy Fellows to the CRA office in Washington, D.C. These fellows, undergraduates at universities and colleges from across the United States, spent the summer at high-tech companies, firms, or trade associations in Washington, learning the intricacies of technology policy. Additionally, they took two class credits at George Mason University, and attended briefings at institutions such as the U.S. Capitol, Department of State, World Bank, and Federal Reserve. The fellows were in the office to attend a presentation by Brian Mosley, policy analyst in CRA’s Office of Government Affairs, covering the policy concerns and issues that the association works on and attempts to influence legislation and other concerns at the federal level. Back in January the Computer Science Teacher Association (CSTA), the Association of Computer Machinery (ACM), and Code.org announced an initiative to develop a K-12 Computer Science Framework for use throughout the country’s education system. The plan was to develop a high level framework, not education standards, that states and school districts could use to create individual CS curriculums for their needs and wants. On Monday, the group, which now includes Cyber Innovation Center and the National Math and Science Initiative, announced that they had completed their work and made the framework public. 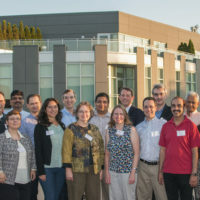 On September 14, 21 computing researchers from across the country visited Washington, D.C. to make the case before Congress for federally funded computing research. The volunteers, traveling from as near as Maryland and Pennsylvania, and as far away as Utah and California, participated in nearly 50 House and Senate meetings. Their message to Congress was very simple: Federally supported computing research is vital to the nation’s future. 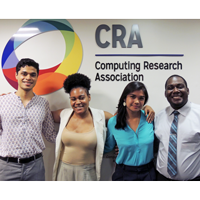 Using their own research and individual stories as support, and reinforced with additional information from CRA, they made the “Federal case” for computing to members of Congress and their staff. Just as important as the message they presented, they also made valuable connections with the officials who represent them in D.C. Those members now know more about the expertise and interesting (and important) computing work that occurs in their districts and states, and our participants have a better sense of just who represents them in Congress. And they’ve hopefully started a lasting dialogue on both sides. The ad points out that without federally supported research, we would not have such things as smart phones, the internet, or microprocessors, to name but a few of the examples cited. Some of the companies whose leaders signed the advertisement are members of the Task Force on American Innovation, a coalition which CRA is a member. The Task Force is a coalition of science organizations, American colleges and universities, and high-tech companies, which supports federally-funded scientific research and promote its benefits to America’s economy, security, and quality of life. The advertisement has the full list of signatories, some of which are well known to our community, such as Norm Augustine, former CEO of Lockheed Martin, and Meg Whitman, President and CEO of Hewlett Packard Enterprises. The ad was sponsored by the University of Pennsylvania’s Annenberg Public Policy Center. First, the good news: the government won’t have to shut down on Saturday, as Congressional leaders have agreed to a continuing resolution (CR) through December 9. As our regular readers will remember, the Fiscal Year 2016 budget year runs from October 1, 2015 to September 30, 2016 and if Congress has not passed a budget or a CR by this Saturday October 1, federal agencies must stop operations. The last government shutdown happened back in 2013, but we’ve been dealing with the potential of one every year since. The agreed to CR puts funding for federal agencies generally, and science research accounts specifically, on autopilot at Fiscal Year 2016 levels. Back in July, we got a good sense of how Hillary Clinton would approach science and technology policy in her presidency when her campaign released her Technology and Innovation agenda, which we covered here. At the time, there wasn’t much information about how a President Trump would approach similar issues. Today, the folks behind ScienceDebate.org have released the answers provided by Clinton and Trump, along with Green Party candidate Jill Stein, to 20 questions about science policy issues facing the country. While Clinton’s answers are consistent with those she outlined in her Tech and Innovation agenda, the answers Trump provided give us a first real glimpse at the candidate’s views on things like innovation policy and the importance of the federal investment in fundamental research. I thought I’d highlight two question responses in particular, but invite you to read the whole 20 questions. On Tuesday July 5th, the CRA Government Affairs Office welcomed the 2016 class of Eben Tisdale Science Policy Fellows (http://www.tfas.org/tisdale) to the CRA Washington, D.C. office. These fellows, undergraduates at universities and colleges from across the United States, are spending the summer at high-tech companies, firms, or trade associations in Washington, learning the intricacies of technology policy. Additionally, they are taking two class credits at George Mason University, and attending briefings at institutions such as the U.S. Capitol, Department of State, World Bank, and Federal Reserve. 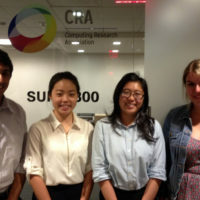 The fellows were in the office to attend a presentation, by Brian Mosley, policy analyst in CRA’s Office of Government Affairs, covering the policy concerns and issues that the association works on and attempts to influence at the federal level. Yesterday, CRA released a letter to Senators Cory Gardner (R-CO) and Gary Peters (D-MI), and Senate Commerce, Science Screenshot 2016-06-28 14.45.54and Transportation Committee Chair John Thune (R-SD) and Ranking Member Bill Nelson (D-FL), expressing support for their efforts to pass S. 3084, the American Innovation and Competitiveness Act, which will be marked up in committee on June 29, 2016. On June 9th, the Congressional Robotics Caucus, with support from the National Science Foundation, held an all day event on Capitol Hill marking five years of the National Robotics Initiative (NRI). The event was broken up into a lunch briefing, where members of Congress and their staff would be able to hear from a panel of experts on the past accomplishment of the NRI and future challenges and benefits of continued funding of robotics research; and an afternoon exhibition of roboticists and their work, where guests were able to interact one-on-one with the researchers. CRA is a member of the steering committee for the Congressional Robotics Caucus. 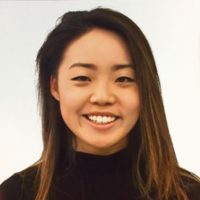 I am currently a rising senior at Boston University, double majoring in computer science and international relations with a focus in East Asian economics. I am very interested in high tech public policy, especially areas of cybersecurity, because it allows me to utilize both my areas of studies. My two very different majors are finally coming together during my last year as an undergraduate student through my acceptance into the senior honors program, which requires a year-long research project culminating with a thesis and defense. My thesis will examine data privacy laws in East Asia. House Science Committee Passes NITRD Reauthorization! Today the House Science, Space, & Technology Committee unanimously passed the “Networking and Information Technology Research and Development Modernization Act of 2016.” The bill is written to update the High Performance Computing Act of 1991 and modernize the Networking and Information Technology Research and Development (NITRD) Program in line with recent recommendations from the President’s Council of Advisors for Science and Technology (PCast). Unprecedented Letter to Congress from CEOs, Governors, K-12 Leaders Advocating for CS for All! America’s top CEOs, state governors, and education leaders joined forces this morning to ask Congress to support computer science in K-12 schools. In an open letter, the leaders called on Congress to increase support for local school districts and jurisdictions for K-12 computer science education. New Coalition, to Push for Computer Science in K-12, Launches Today! A new coalition, the Computer Science Education Coalition, whose mission is to focuses on securing federal funds to provide computer science education to all K-12 students, launches today. President Obama on Tuesday released his final Budget Request to Congress, a $4.1 trillion request for FY 2017 that some in the science community have called “aspirational,” which might be a nice way of saying disappointingly unrealistic. Let’s just note at the outset that the President has been a tremendous champion for Federal investments in science throughout his two terms. His Administration has launched a large number of new initiatives on brain science, big data, robotics, clean energy, advanced manufacturing, strategic computing, cyber security, smart cities and more that have brought new funding and new energy to Federally supported science. The following is a post from the CRA Policy Blog by Brian Mosley. When we last talked about the FY16 budget, it was early October and it was looking like the next Speaker of the House would be Kevin McCarthy (R-CA). As we now know, in early December, the Speakership is very different but we still don’t have a passed-into-law budget. Congress has until this Friday, December 11th, to either pass a budget into law or to pass a stopgap continuing resolution (CR). Or let the government shutdown. Check out this great opportunity for computing researchers at all levels. 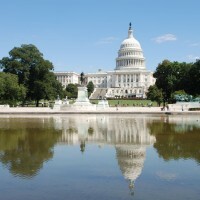 TechCongress, in partnership with The Open Technology Institute at New America, is looking for three great tech-oriented thinkers for its first class of Congressional Innovation Fellows. 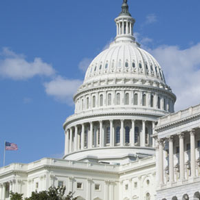 CRA will hold its fifth annual Congressional Fall Fly-in on September 16-17, 2015. This is an important opportunity for representatives from CRA member institutions to come to Washington as a group, meet with their representatives in Congress, and help make the case for federal support of computing research. We hope you, or someone you designate, will join us!